Hiten Tejwani said: "It was a different and enjoyable experience shooting for this short-format content"
Hiten Tejwani, best known for his roles in K-Soaps such as Kutumb and Kyunkii... Saas Bhi Kabhi Bahu Thi, is all set to debut on the digital platform with Eros Now Quickie's upcoming web-series The Investigation. On Thursday, Hiten shared the poster of the show on Instagram and wrote: "Super excited to announce the poster of my newest digital series, The Investigation." 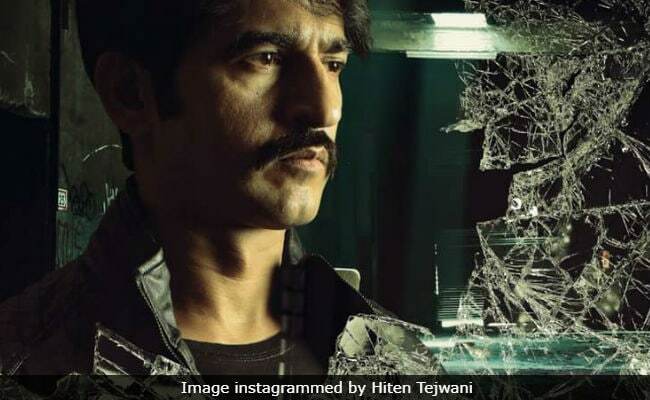 In a statement, Hiten Tejwani shared details about the show's plot and his character: "The show exposes a murder mystery and revolves around my role. The several twists and turns in the plot interested me to be a part of the crime thriller and it was a different and enjoyable experience shooting for this short-format content," reported news agency IANS. Hiten tejwani plays the role of a Mumbai Crime Branch officer investigating a murder while Leena Jumani (Kumkum Bhagya and Punar Vivah) plays his onscreen wife. "I am sure audiences will be glued to the show and will enjoy watching it as much as we did filming it," Hiten added. Hiten Tejwani was last seen in TV show Gangaa from 2015 to 2017. After completing the show, Hiten featured in reality show Bigg Boss 11. He was evicted after 77 days while Bhabhi Ji Ghar Par Hain actress Shilpa Shinde won the show. Hiten Tejwani started his career on the small screen with TV show Ghar Ek Mandir, however, the role of Pratham in Kutumb made him a household name. Hiten has featured in films like Krishna Cottage and Love Games. He will also be seen in Karan Johar-produced Kalank releasing this year.